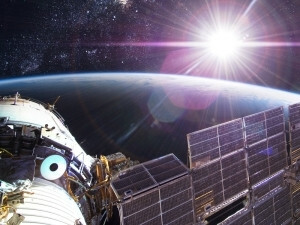 Innovations designed by students could find their way to space stations, according to SANSA. The SA National Space Agency (SANSA) has tapped into local student knowledge, announcing its collaboration with students from Tersia King Learning Academy, in Tembisa, to develop robotics in a project aimed at assisting astronauts. The initiative is part of the agency's participation in the National Robotics Olympiad, which is geared towards finding the best designs and models from South African primary and high schools. Using robotics kits from SANSA, the students worked alongside agency specialists to design and build satellite robot models that will be placed next to a space station and assist astronauts with refuelling. This was part of the students' entries for the Olympiad. "The first robot will operate the satellite with the infrared sensor. The second will be used to transport humans doing research on Mars, and the third will be placed next to a space station to determine when the space vehicle requires refuelling or assistance," the agency says in a statement. Gladys Magagula, satellite mission control specialist at SANSA's Space Operations directorate, says the initiative will also help the agency in building a model that can be used for its community outreach programmes throughout the year. "We use models for demonstration purposes when we visit schools, but the one designed by students could play a role in our space operations which deal with launch support missions." Magagula says SANSA frequently supports larger space agencies such as the US-based National Aeronautics and Space Administration (NASA). She says the agency is supporting the Orbiting Carbon Observatory (OCO)-2 - NASA's first dedicated earth remote sensing satellite to study atmospheric carbon dioxide from space. The Tersia King students will go head-to-head with pupils from across the country at the end of August as they bid to represent SA at the World Robotics Olympiad, set to take place in Russia later this year. The international competition uses robotics to develop problem-solving skills among students and encourages creativity using mathematics and science. According to SANSA, the model designed by Tersia King students will be used to teach South African learners about space and challenges faced by astronauts. Two local teams were among the top achievers at last year's global competition, including a second place finish in the senior open category and fourth place in the open elementary category.